I have been busy crocheting lots of stuff this winter. I have made a Cowl scarf and I am working on a couple of other scarves! I also made this really cute hat! 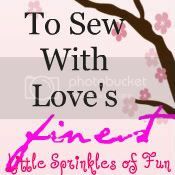 I found this free pattern over at The Dainty Daisy. It is super cute on my 3yr. old! I love when I can find free, cute patterns that crochet up well! Thank-you Betsy @ The Dainty Daisy!! I found the flower pattern here on Ravelry. If you do not have a free membership on Ravelry…go and get one! Especially, if you love to knit or crochet! If you have not ever tried to knit or crochet…it is SO time to give it a try! The funny thing is that I started learning to knit first. But I have found that I really like crocheting much better. I guess it is just a personal preference. Here is a little story about my first time knitting. We have books for sale all the time in our lounge at school. One day a couple of years ago, there was this book entitled…”Knitting”. It claimed to teach you to knit 6 great projects! Oh and it was on sale..only a few dollars! I ran into the library where several of my K-team were sitting. I began to tell them that my new book was going to teach me to knit! They were very skeptical. Our librarian helped me get it started..and after that I just took off! Needless to say my K team was amazed that I actually had made the scarf that was in the book! While I am on this topic…let me share a my FAVORITE guide to learning to Crochet or Knit. I still use them to help me learn or re-learn stitches. I think I picked both of mine up at Hobby Lobby. I also found them here and here on Amazon. Let me know if you give either one a try! i love it! i can crochet but only scarves and pot holders. i cant seem to figure out circles yet! your hat is great! Love the hat!! Connor has been getting great use out of the one you made him. I'll snap a picture this week! I knit currently, but I think I'd have more flexibility with crocheting.. maybe you can get me started! I keep telling myself that I'm going to learn to crochet...someday. Maybe this will be the year that I finally get started! Cute hat! Thanks for sharing @'Sew Cute Tuesday'! I love that hat, nice job. I wish I had the time to learn to crochet. So many things.... so little time. this is my plan for this year... if I do nothing else I want to crochet!!! :) Really great job... love the hat! Thanks for linking it up!!! Cute! I enjoyed my visit to your lovely blog. I hope you will stop by Katherines Corner and say hello. Hugs P.S> Don't forget to enter the Pink poodle Giveaway too. you are so talented! This is just beautiful! My daughter crochets and gave us all beautiful Christmas gifts something like this....I don'y have that talent! I am your newest follower..pls follow back if you can! I am following you through the favorite things hop. I am sure your princess loved that cute hat, Alicia! thanks for sharing this! we hope to see you again this week at the party.Have a fab weekend! That is adorable. I love how the grey background really makes that flower pop!